DNC Worldwide is growing. Check it out. 1,000+ Unique Visitors today! All-time High so far. Not bad for the site being 2-weeks old. 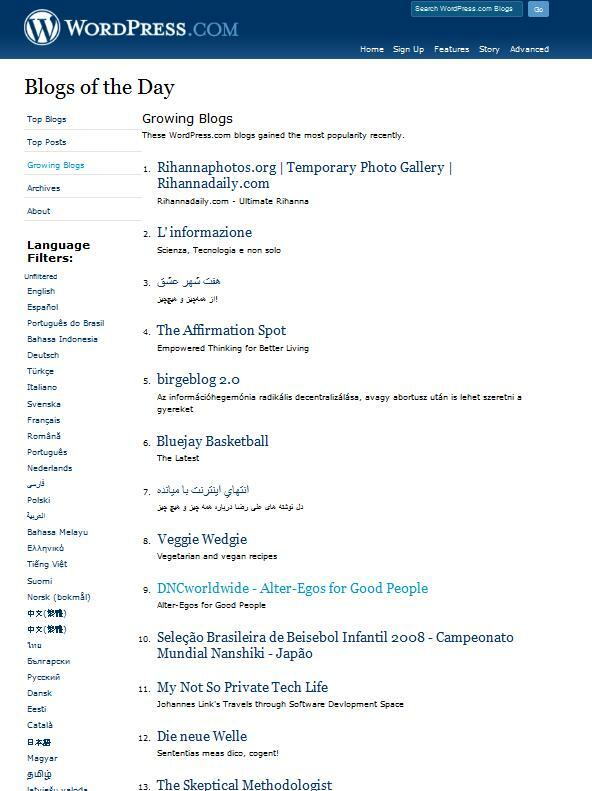 A one point, we were the #9 Fastest Growing Site on WordPress today. We’ve also been included in Alltop under both the TWENTY-SOMETHINGS & MEN categories – alongside Esquire, Men’s Vogue, and GQ Magazine! All this from the humble beginning of just being a tight-knit group of friends who train together and want to let the world know what they’re all about. We’re a pretty big deal. Tell your friends. This entry was posted on August 11, 2008 at 7:29 pm and is filed under DNC News. You can subscribe via RSS 2.0 feed to this post's comments.